The fountain of youth doesn’t exist. There’s no magic ingredient that will make all your wrinkles disappear and take the clock back 20 years. Aging is a complex process. You can’t stop it with a cream. But you can attack it from every front. You can stop UV rays from hitting your skin, keep collagen production up to speed and destroy those nasty free radicals before they wreak any serious damage. It’s too much work for only one superhero, no matter how powerful it is. You need a whole army of superstars to win this fight. Where to find them? What they are: Alpha Hydroxy Acids (AHAs) are a family of exfoliants. Their most important members include glycolic acid and lactic acid. Why they’re anti-aging superstars: regular exfoliation is key to younger-looking skin. Removing dead cells on the surface reduces the appearance of wrinkles and makes skin brighter and smoother. Plus, glycolic acid (my fave AHAs) stimulate collagen production, the protein that keeps skin firm and wrinkle-free. Compare that to scrubs that only get rid of dead cells and nothing more! Side effects: AHAs can irritate skin if you’ve never used them before. Start with a low dose twice a week and build up amount and frequency from there. Who can use it: Everyone can use AHAs. If you can, go with glycolic acid – it has the strongest anti-aging properties. If your skin is sensitive, lactic acid is a gentler option. If your skin is oily or acne-prone you can still use glycolic acid but not if it means giving up on salicylic acid. Salicylic acid unclogs the pores from within and prevents breakouts so either stick to that or use both. What it is: a form of Vitamin A, the only vitamin that’s been scientifically proven to reduce the wrinkles you already have (not just their appearance!). Why it’s an anti-aging superstars: it fights wrinkles in three different ways; it destroys free radicals before they can cause wrinkles; it boosts collagen production to keep skin firm; it speeds up the skin’s natural exfoliating process to keep it smoother and brighter. Side effects: if you’ve never used it before, retinol can irritate your skin. Start with low concentrations (1% is already huge!) a couple of times a week and build up both dose and frequency. Who can use it: anyone can use it. If you have sensitive skin, try retinol products that use time-release technology (they release retinol gradually over a period of several hours instead than hitting your skin with it all at once). If these are too irritating for you, your skin may not be able to tolerate retinol at all. What they are: free radicals’ arch-enemies. Their family includes vitamins C and E, green tea, ferulic acid and more. 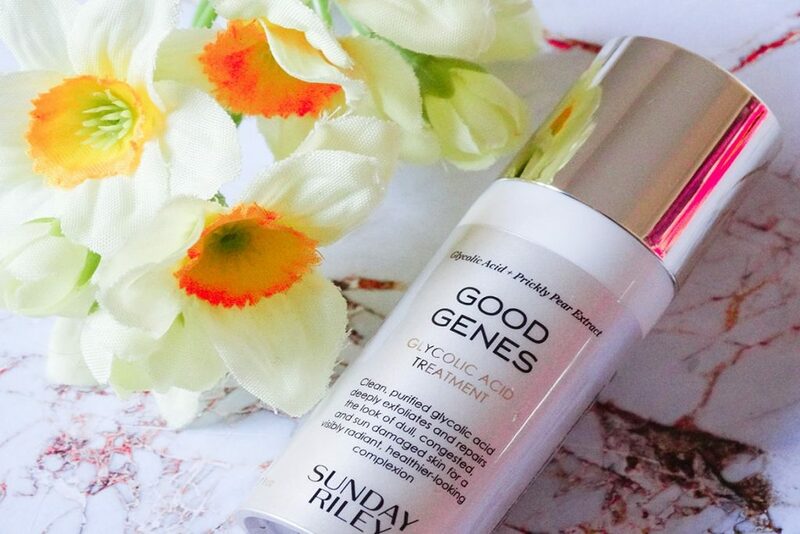 Why they’re anti-aging superstars: they neutralise free radicals before they can wreak havoc on your skin and give you wrinkles and dark spots. Some antioxidants, like vitamin C, go the extra mile and boost collagen production too. Just don’t use it alone. When it comes to antioxidants, the more your skin has, the merrier! Side effects: Vitamin C can be irritating if you have sensitive skin. Try using a derivatives, like ascorbyl glycoside, instead than pure vitamin C (L-ascorbic acid). Who can use it: everyone can use antioxidants. What it is: a form of vitamin B3. 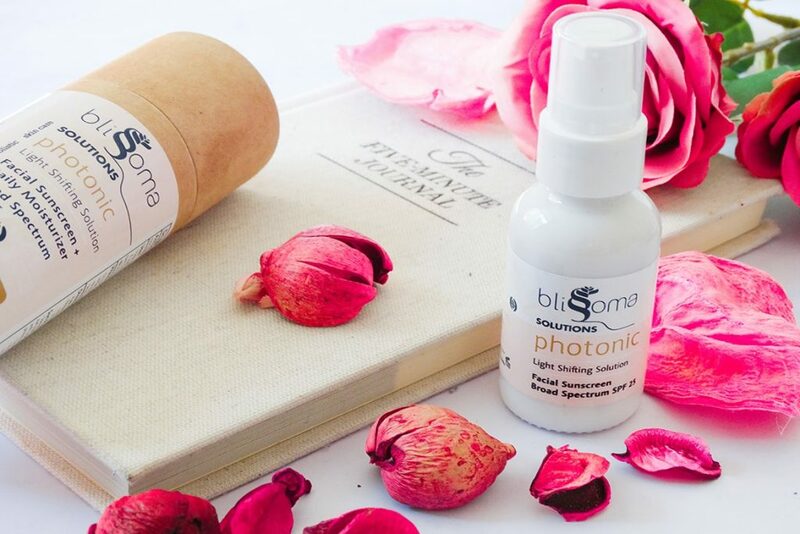 Why it’s an antiaging superstar: it’s an all-round ingredient: it reduces fine lines and wrinkles, hydrates skin, fades dark spots, brightens the complexion, soothes rosacea and treats acne. Who can use it: everyone! Related: Is Niacinamide A Skincare Do It All? What it is: the most powerful antiaging product in your arsenal. Its job is to protect you from UV harm. Why it’s an antiaging superstar: UV filters absorb ultraviolet radiation and turn it into a less damaging form of energy (heat). UV rays are responsible for 80% of premature aging – none of the superstars mentioned above can do much for your skin if UV rays keep damaging it every single day. Yep, UV rays can get through clouds and be reflected on snow. Rain or shine, winter or summer, PUT IT ON. Side effects: most UV filters can irritate sensitive skin. If that’s you, switch to mineral sunscreens with zinc oxide. It’s the gentlest UV filter there is. But it can leave a white cast behind. Who can use it: everyone MUST use sunscreen. If your skin is sensitive, opt for a mineral sunscreen (all the options below are good for you). Related: Mineral VS Chemical Sunscreen: Which One Is Right For You? How many anti-aging superstars are you using? Leave a comment and let me know. I’ve got 3/5 down – Sunscreen, Differin and Niacinamide (I love my EltaMD PM Therapy!) I’m trying to find the right Vitamin C serum for me. PC C15 is out of my price range right now, and I’m looking to either the Mad Hippie Vitamin C serum or OST Original Pure C20 Serum. That SkinActives serum in the photo sounds interesting, too! Lexie, I love that SkinActives serum. I use it three times a week and I have already seen a big difference in how my skin looks and feels. It’s definitely smoother. And I think it’s only $15 or so. I’ll review it soon. 🙂 Of the two serums you mentioned, I prefer the Mad Hippie one because it contains a more stable form of Vitamin C and no alcohol. But the other isn’t that bad either. Looking forward to your review, Gio! I just spent an hour browsing the SkinActives website – I want to try so many of their products! Yeah, I’m really torn between the two. The Mad Hippie one has ferulic acid too, but I’m kind of wary of the grapefruit and clary sage – I can’t find any info online about how these two are formulated in the product and benefit the skin. I guess I just want to try the OST one because of Skin and Tonics’ amazing before + after photos while using it. I’m feeling really conscious of my PIH at the moment and I want it to fade ASAP. I order three Paula’s Choice products just yesterday! I “cheated” on Paula for awhile and am now going back. 🙂 One question: what do you think about BHAs as opposed to AHAs? BHAs are supposed to be better for those of us with enlarged pores. Laurie, Paula’s products are amazing, aren’t they? I always keep coming back to them too. I believe BHA exfoliants are the best option for people with oily and acne-prone skin. That’s because Salicylic Acid, unlike other exfoliants, can penetrate inside the pores, removing all the gunk that accumulates in them. As a result, breakouts are avoided and pores, because they aren’t so stretched, look smaller. 🙂 Everyone else, instead, doesn’t really need such deep exfoliation, so AHAs work best for them. Thanks, Gio! My skin doesn’t break out much, but my t-zone is oily and my pores are large. I think I’ll try the BHA first and then go to AHA if BHA is too drying. Anshul, good for you! I have started using them at about 26 and wish I had done so sooner. Prevention is definitely better than cure, I agree! I don’t think my current skincare routine has niacinamide. Products with anti-aging ingredients I am currently using: Paula’s Choice Skin Recovery Antioxidant with Retinol, PC’s Resist Daily 2% BHA, PC vitamin C serum, Dr. Dennis Gross Age Recovery, and am currently trying out several sunscreens (as usual!). <3 thank you, again! You don't realize how positively you've affected my life. Janessa, that’s a wonderful skin routine! You’re using most of these superstars and I bet your skin looks amazing! Yes, sunscreen may even be the best preventive tool if you want to avoid sagging, hyperpigmented, wrinkly skin. There are a lot of people who want to get tanned at all cost and do not apply sunscreen at all (another myth to address, sunscreens actually do not prevent you from tanning btw). The results are terrible, both on a short run and long term. Even non smokers look like they’ve been smoking for ages because their skin tone looks so irregular and the texture, thinned out and frumpy. If there was only one product you may want to use everyday, vote for sunscreens!!! Pastelita, I completely agree. The sun does so much damage to the skin and there’s only so little skincare products can do to reverse that. Prevention really is key here. Hello, new to your blog and currently backtracking XD. I’m currently using Acne.org regimen (BP+AHA) for my acne prone skin. I want to add more into my skincare routine. Do you use this 5 items for both day and night routine? If not how do u implement this in your daily skincare routine? Can I mix those ingredients into my Acne.org regimen? I use a moisturizer with niacinamide, a serum with antioxidants and one with retinol, and a sunscreen with zinc oxide every day. Then, an exfoliant with glycolic acid a few times a week. You can incorporate these ingredients in your skincare routine too by choosing serums and sunscreens that are rich in them. Just avoid using retinol and AHAs/BHA at the same time because these ingredients don’t work well together. It’s best to use your AHAs/BHA product in the morning and retinol at night. Thank you for the kind reply :). Yes I love your blog. It’s very informative and have a very good structure. If I’m being lazy, I can just skip to bottom line but If I want to know more, I can read the important bit :D.
Acne.org regimen has been doing so well to prevent and heal my acne. However their moisturizer (https://store.acne.org/moisturizer) didn’t fit me well. It sting my face and itchy which is so weird cause the BP is fine, I don’t know why the moisturizer which should help hydrating my skin irritate my skin. Because I haven’t find a good moisturizer, the BP caused my skin to be a bit flaky so my foundation didn’t applied well. I have combination skin and very oily T-zone. Do you have recommendation for a good moisturizer for my acne prone skin and combination skin. Preferably not so expensive one. PC recommended Moisturizer with SPF for day and normal at night. Do you think it’s ok to use moisturizer with SPF or better use separate sunscreen? I haven’t used Sunscreen too but they said it’s important. Also I’m planning my skincare based on your recommendation and paula choice website. This is my skincare plan. Cleanser+AHA/BHA(Morning only)+Acne.org BP+Skin Lightening-Retinoid(Night only)+Serum+Moisturizer. What do you think? Is it too much product? PC recommend toner but since u said it’s doesn’t really do anything I skip it cause I don’t want to burden my face to too much product. I’m planning to use Skinactive for serum. Do you use serum both day and night? So my problem now is to find a good Skin Lightening product/Retinoid and moisturizer and/or sunscreen that affordable. Do you have any recommendation for a good product review website? Idk which one to trust cause there are many conflicting review T_T. Sorry for so many question. I’m sorry the moisturizer didn’t work for you. Maybe you were allergic to one of the ingredients? My favourite affordable moisturizers for oily skin are Olay Regenerist Regenerating Lotion with Sunscreen Broad Spectrum SPF 50, Paula’s Choice Skincare Skin Balancing Ultra-Sheer Daily Defense Broad Spectrum SPF 30, and Neutrogena Ageless Intensives Tone Correcting Moisture SPF 30. They all contain SPF, but personally I don’t care much about that. It’s impossible, with a cream, to get the SPF stated on the bottle. You’d just have to apply too much product.Imo, it’s much better to always use a separate sunscreen anyway. If, in addition, your moisturizer has some SPF, great. it’ll provide some added protection. But a moisturizer with SPF can never be used as a substitute for sunscreen. That sounds like a great skincare routine. And no, it’s not too much stuff. No a toner isn’t necessary. Some are well-formulated but even those contain ingredients that are commonly found in serums and moisturizers, so no point in paying twice for them. As for serums, I use two. One with antioxidants in the morning and one with retinol at night. You can do the same, or buy one with both antoxidants and retinol and use it at night only. Whatever works best for your skin. For skincare reviews, I usually consult Beautypedia and Future Derm. I find both websites trustworthy even though they sometimes have conflicting opinions. The problem is that everyone’s skin is different and what works for one person may not work for another. The key is to figure out what your skin type and problems are, and what ingredients can help with them. That way, you can look for products with those ingredients and experiment until you find those that work best for you. No worries. I hope this helps, and if you have any more questions, just let me know. Just started reading your blog and find all your comments insightful. I am on the flip side of most of the women asking for advice: i am in my late 50’s with more dry prone skin, living in a colder climate and trying to maintain the shape my skin is in. Naturally I have lines and some wrinkles, and I get overwhelmed by all the products coming out. Recently I’ve been trying M.Asam because it contains resveratrol. Even though this ingredient has been touted as the next miracle for skin, are the benefits of resveratrol sustained in its serum or creme form? I also have prescription Vit A and use argon oil . I like Oil of Olay, have tried P.C but I just want to stick to one routine if possible. Any thoughts? Thanks for your help! Margo, glad you find my blog helpful. Resveratraol is a great antioxidant, and it does benefit skin when used in a serum or cream. But there is only so little it can do on its own. Antioxidants work best when used together. The more, the better. Paula’s Choice serums, Clinique CX Antioxidant Rescue Serum, and Skin Actives Antioxidant Serum With ROS* Terminator all contain many different antioxidants, and are great options to consider. Hope this helps. I have heard about Retinol but didn’t know that antioxidants too can help in this. Prerna, yes, they do. The more of these ingredients you use, the better your skin will look. I have been facing lot of dry skin issues and feel its mainly because of lack of Collagen but when tried stuffs like Retinol, I could see a remarkable difference but being sensitive skin type, it sometimes react on my skin. Homemade DIY, have you tried time-released retinol? It’s much gentler, and even sensitive skin can better tolerate it. I’d also recommend a hyaluronic acid serum. it’s very hydrating, which is just what dry skin needs. Barbara, I don’t consider the EWG a reliable source, as they have a habit of misinterpreting studies. They don’t take into any consideration how the study was performed (whether on rats or humans, or through ingestion or topical application, for example), or the concentrations used. For example, they said that a form of vitamin A (a close relative of caused cancer in humans because they found a study claiming it caused cancer in mice. But they were exposed to very high levels of it, and the species of mice used was very prone to that type of cancer anyway! How does that make it dangerous for us in the minuscule quantities used in cosmetics? It doesn’t. It’s the dose that makes the poison. Even vitamin C or water can be toxic at high enough levels. 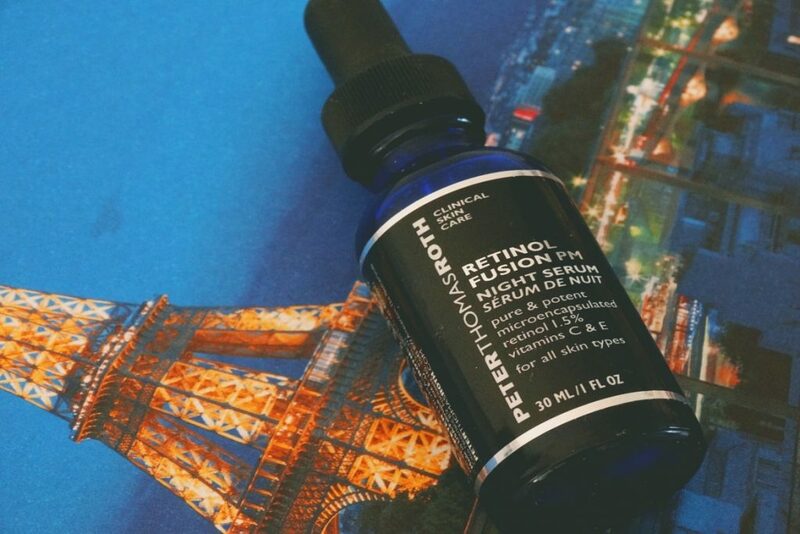 So, use your retinol without worries, unless you’re pregnant or nursing. That’s because we don’t know if retinol is dangerous to the foetus or young babies, but only because carrying out such studies on purpose is obviously unethical. Thank you very much for your blog. It is very informative. I have a question regarding sunscreen using, please. It says that that sunscreen needs to be re-applied every few hours. But if I also put my foundation (I’m using Dior Diorskin Airflash Spray Makeup) on top of sunscreen, how can re-apply the sunscreen then? Ola, hi, I’m so glad you find the blog useful. I find the best way is to opt for a lightweight chemical sunscreen for reapplication, so you can gently pat it on top of makeup without ruining it. Keep in mind, though, that it also depends on the weather and what you’re going to do that day. Sunscreen must be reapplied often because sunscreen actives are deactivated by light, so the longer you stay in the sun, the sooner they’re gone. But, if, let’s say, it’s a cloudy day and you’re spending it indoors, going outside only for short periods of time, then you can get away with applying your sunscreen less often. At the beach, instead, reapplication after 2 hours is a must. Hello Gio, How are you? I was curious, if only able to pick one, which anti aging cream or serum or any product for that matter, would you recommend using? I realize all skin types are different and this question is heavily dependent upon this fact, mine is predominantly oily and I live in an excessively HOT & dry climate. Besides a good sunscreen or retinol cream, what’s next in line as far as overall benefits? For anybody in general? For a man with oily skin? Or, given your specific skin type, what do you personally prefer? I apologize if you’ve already covered this and I missed it. In which case, I’m sure I’ll stumble over it sooner or later, so no need to answer. And thank you for providing such a great source of information and sharing your personal knowledge and experiences. Hi Bruce, gosh, it’s so difficult to pick just one! I’d say two products (sorry, can’t do one – the perfect skincare product hasn’t been invented yet!) are a hyaluronic acid serum and an exfoliant. Hyaluronic acid hydrates skin without adding any oil to it so it’s great for your oily skin. Exfoliation does a lot of good to everyone. It makes your skin clearer and brighter. But the type of exfoliant you should use depends on your skin type. For oily skin, I recommend salicylic acid. It can get inside the pores and unclogs them from within. Hope this helps. Hi there, I’d like to kindly ask if your posts include sponsored products or if you are affiliated with certain companies/brands. Tina, I’ve never done a sponsored post yet, but I don’t rule that out in the future. If I do, I will disclose it as per FTC regulations. I’m not affiliated with any companies, but I do use affiliate links (Rewardstyle and Skimlinks) in my posts. If you buy a product using these links, I get a small commission. Hope this helps. Let me know if you have more questions. It’s good to read the previous comment that you remain impartial with these comparison reviews. Always curious about methodology because I need to design an informal double-blind for the skincare company I’m in charge of. We’re competing next month for CEW Indie Skin Care Awards. I’d love to send you some to try out. No expectations attached, we just genuinely want to share, especially when I can receive genuine feedback. Keep up the great work! John, best of luck with your study and awards! Would love to try it and give you my honest opinion. Please, contact me at gio[at]beautifulwithbrains[dot]com. Thanks! Thank you for making this blog! I’ve just started reading it, it really shows that you’re v informed and passionate about skincare. I’m obseessed! Thank you for your blog, it is really useful! As for anti-aging superstars, I started using 4 of them (with the exception of AHAs) since I was 30. I became a fan of Olay Regenerist line rich in niacinomide and antioxidants thanks to Paola’s reviews and I also used a Neutrogena creme with retinol (though my facialist said that my skin did not need retinol at that time and, frankly, I think she was right – I did not see any results). However, I had to completely change my routine at the age odpf 34 after my skin became supersensitive due to medications I had to take, I even had severe dermatitis around my mouth. So, I started uding Toleriane by La Roche and had to ditch everything else, even sunscreens, I just avoided sun exposure and wore big hats and sunglasses. Now I am 38 and my skin is less reactive than it used to be, do I am back to the anti-aging aging game. I tried some serums with hyaluronic acid and want to buy again Olay Regenerist Serum (fragrance-free). I also started using mineral sunscreens when UV index is above 2 ( my skin still reacts to chemical ones). I once tried a cream with peptides, but my face started burning and I had a small rash. 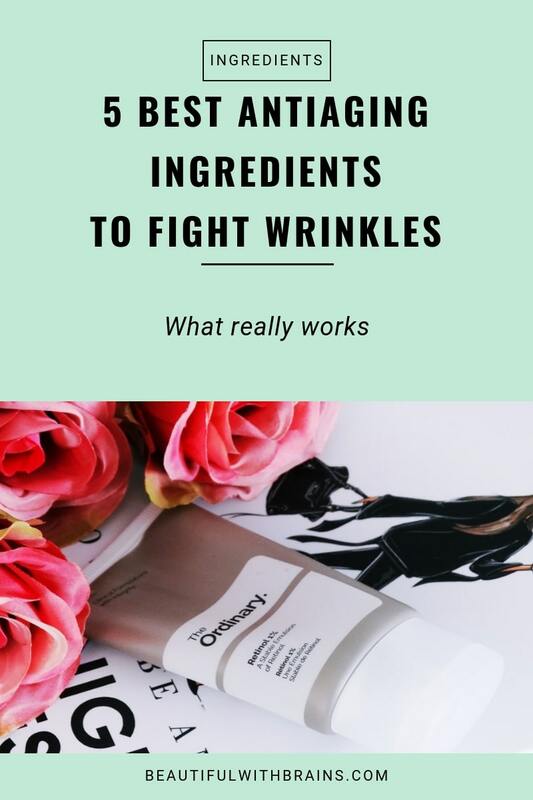 So, I am still afraid to try stronger ingredients like retinoids, AHA, and vitamine C.
What other anti-aging products for very sensitive skin can you revommend? 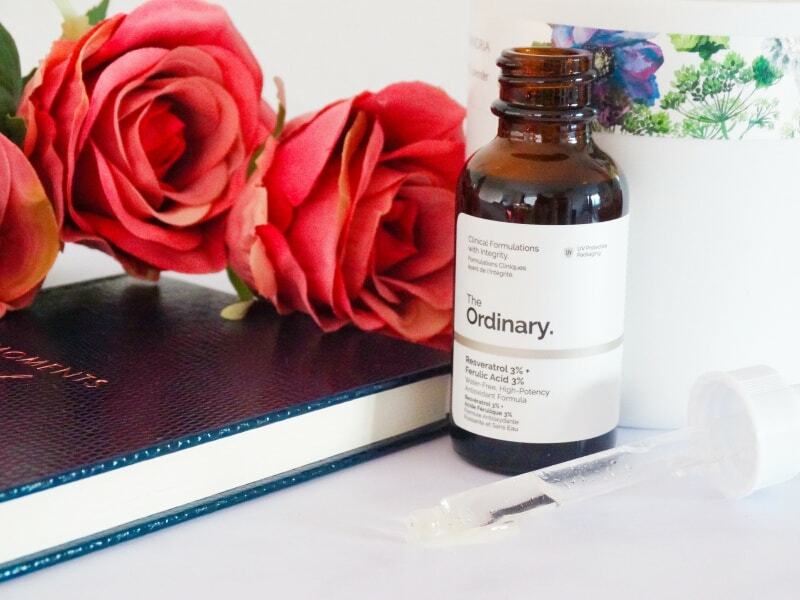 I was thinking about trying out some antioxidant serums from The Ordinary; which ones would be suitable for very sensitive skin? Also I want to try their squalane product, as I have some dry patches of skin (around my mouth and my forehead) and would benefit from some extra moisturizing. Also I noticed that massage helps a lot against mimic wrinkles. Of course, professional massage is better, but even 5 minutes of gentle self massage help me fight those upsetting rinkles on my forehead. Anastasia, I recommend the Resveratrol 3% + Ferulic Acid 3%. Both antioxidants are very powerful and can destroy the most harmful type of free radicals. I’d also add EUK 134 0.1% because superoxide dismutase is another superhero and antioxidants are best used together. The Squalane would do wonders for your skin. It’s great for dry patches. Gio, How do you use all of the above together in a regimen. Layer? Day/Night? Robin, I use a Vitamin C serum in the morning and I alternate between a retinol serum and a glycolic acid exfoliant at night. Both are followed by a niacinamide serum, Hope this helps. If my tinted moisturizer has SPF 20, do I still need to apply another sunscreen (I have some Kieran water based ones that are 50 spf)….? Kelly, yes you need a separate sunscreen. The reason being no one applies enough moisturiser to achieve the SPF level stated on the bottle. Thanks for this informative article! I have trouble incorporating all these ingredients into my regimen because I hear so much information about what products neutralize/don’t work well with which. How do you recommend getting all 5 of these ingredients into one day/night regimen? Also, will my skin stop turning so red from niacinamide over time as it gets used to the ingredient, or does this mean my skin can’t tolerate it? Thanks! Elizabeth, I wouldn’t necessary recommend using them all in one day. For example, I recommend using glycolic acid and retinol on alternate nights followed by niacinamide. 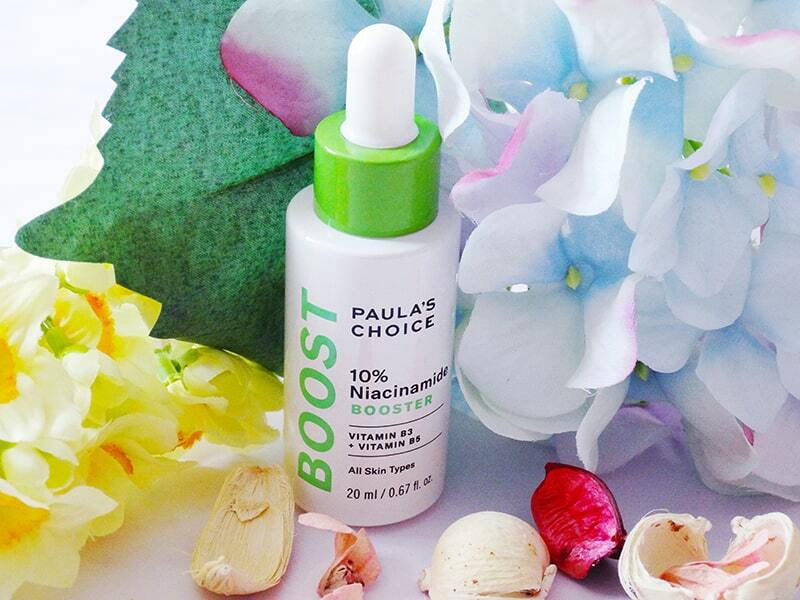 In the morning, you can layer vitamin C under foundation to boost its effectiveness. Mmm, that’s strange, niacinamide doesn’t usually do that. Are you sure there’s nothing else in the product that could cause that reaction? If it’s indeed the niacinamide then stop using it. Some skin types can’t tolerate or more of these ingredients and that’s fine. Just use as many as you can and don’t worry about missing out. Your skin tells you what it needs and what it doesn’t like so listen to it, not to marketers. 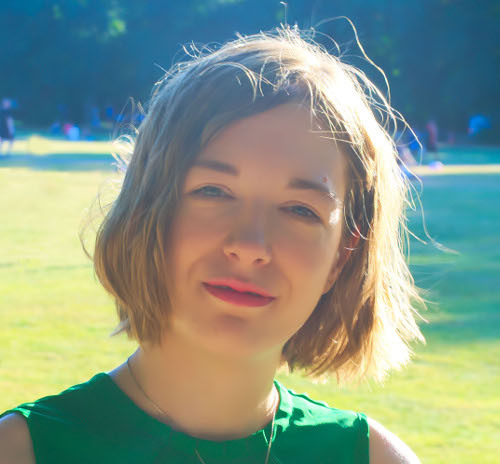 Ive just come across this blog – I’m in my mid 30s and had been using boots no. 7 serums for a while. I just started using retinol, and it made my skin look really awful the next day – open pores, wrinkles more visible !! I did a bit of research and was totally confused, but your blog has really helped. I think the retinol was drying out my skin. So now I’m using paula’s choice salycilic acid at night (i have huge pores), followed by the no. 7 serum. And then a sunscreen in the morning. I was wondering about adding a facial oil at night, as these have helped me with excess oil – are there any you would recommend for oily skin? Also any eye cream you rate? I bought onr with retinol but now I’m a bit scared! Thanks so much for the clear advice. I was getting SO confused trawling around the internet!! Really appreciate it. This is so helpful, thank you! I started with Indeed retinol reface but have just read your blog on that and now realise it was probably too harsh. I’ll give my skin a break and then try retinol again using your methods, and follow up with a face oil afterwarss too. Really appreciate it! I’m 72 years of age (old!) and my cosmetician told me not to use AHA’s at my age because it would cause thinning and more drupping (s) of my skin. What’s your intake in that…I had been using AHA’s but stopped for that reason. I am glad you mention about a sunscreen on it’s on which I had not heard before. I love reading your comments and comments of others. Thelma, some AHAs, like glycolic acid, can temporarily thin the skin before they make it thicker. Others, like lactic acid, don’t thin skin at all. If this worries you, stick with the latter. Please can you tell me what age these recommendations are for? I am late 60’s but your correspondents all seem much younger. Maris, anyone can use these at any age (although, I’d leave some of them for your middle 20s onwards). But the sooner you start using them the better results you get. Also, some of these, like antioxidants, only prevent wrinkles hence why it’s best to start using them early. Gio I am happy I found your site. The above How often are we supposed to use them? Morning night? What order? Right now I clean my face 2 times a week I use a microderm scrub 1 a week I use a clay mask. I use a moisturizer with spf. I use retinol .05 every other day and night moisturizer the alternate days. Amandria, antioxidants, niacinamide and sunscreen can be used every day, either once or both morning and night (apart from sunscreen, that’s only day!). At night, alternate exfoliation and retinol. Hope this helps. But in what order? If I buy the 5 items listed above, what order do I put them on my face? THX! Houda, in the morning, use vitamin C followed by sunscreen. At night, retinol followed by niacinamide. At night, two or three times a week, exfoliate with glycolic acid right after cleansing and then apply niacinamide (no retinol on those nights). I was wondering how to use these products times of day? One after the other? Alternate days? Amandria, you can use antioxidants and niacinamide every day, both morning and night. Glycolic acid and retinol should be used on alternate nights. I would like to use timeless products as they seem to be comparable with Skin Ceuticals as simply can’t afford Skin Ceuticals even through I believe they are great products ,,,, I am 68 just had a trebella done and doing a diamond polar next ,,, please tell me what you think would be a good routine using timeless .